I have to own that I am passionate about tea. It is not just the diverse varieties of tea, or that it restores and revives, it is also the ritual. Each morning I delight in warming and filling my silver tea pot, allowing the tea to steep beneath its cosy before pouring the first cup of the day and preparing my thermos. Nothing beats the flavour of tea made in a silver teapot! Tea has been drunk in China for some 4000 years. However, it was not introduced to Britain and Europe until the 17th century. On the 25th September 1660 Samuel Pepys recorded in his diary that he ‘did send for a cupp of tee (a China drink) of which I never drank before’. It is thought Thomas Garroway of Exchange Alley, London, first sold tea in England in 1657. It was made fashionable by Charles II’s Portuguese queen, Catherine of Braganza who brought her love of tea to the English court. Early English teapots from the 17th and the early 18th centuries are rare and tend to be small as tea was very expensive. By the later 18th and early 19th centuries tea had become a little more affordable whilst maintaining its fashionable status. Tea related objects proliferated including porcelain. 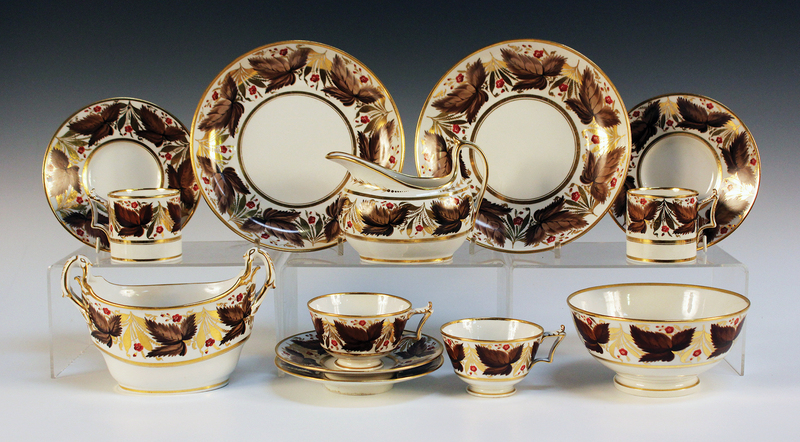 Take for example the Flight, Barr & Barr Worcester porcelain part tea service illustrated here. 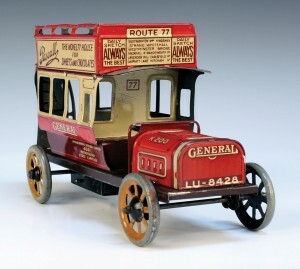 The Worcester factory had been formed in 1752 when the factories of Benjamin Lund and Dr John Wall had been united. Dr Wall retired in 1774 and in 1783 the factory was purchased by the firm’s London agent, John Flight. His son, Joseph, would enter into partnership with Martin Barr in 1792 and the company became Flight & Barr. As the partnership evolved so did the name and after Martin’s death in 1813 the company became Flight, Barr & Barr. During this last period the quality of the wares was outstanding and included tea services typified by fine, restrained decoration. 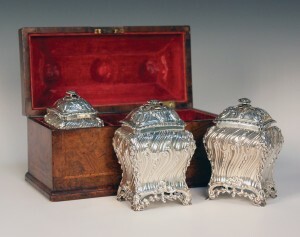 This tea service dates from around 1820. The bands of brown and gilt leaf sprays are united with the form of the pieces, the design brought alive by the small red flowers. It realised £1900 at a recent Toovey’s specialist auction. Tea related objects were often made in silver. In the later 18th century the rococo taste was fashionable. The George III Scottish silver tea pot is of inverted pear form and was assayed in Edinburgh in 1777. The chased decoration reflects the fashion for the rococo at this date with its opposing scroll cartouche and flower festoons. 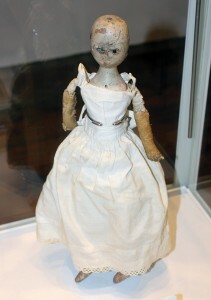 It sold for £950. 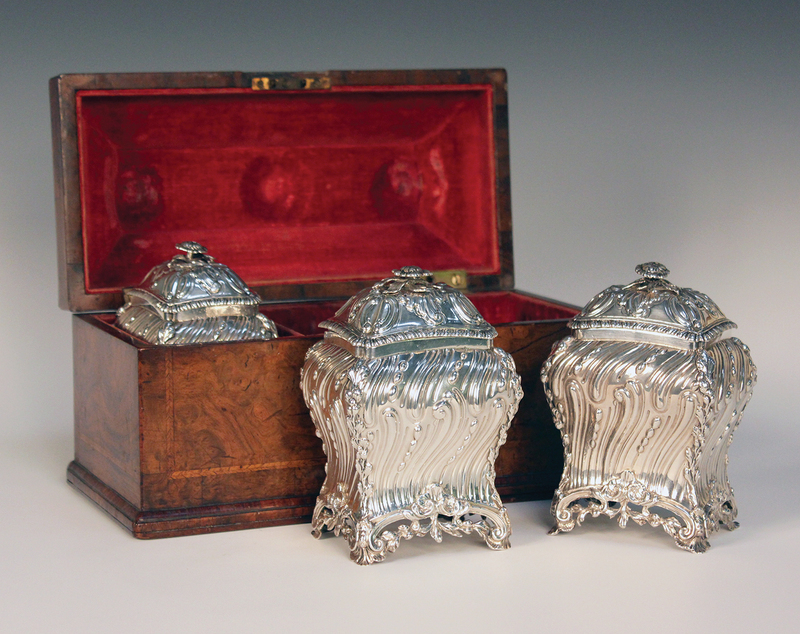 The three early George III silver tea caddies reflect the value of tea in the mid-18th century and are also in the rococo taste. Their flower finials and rectangular bombé outline are decorated with chased, spiral reeded bands and cornered foliate borders. The scroll and scallop aprons incorporate scalloped feet. Made by the silversmith John Foster and assayed in London in 1766, with their contemporary walnut case they realised £5100 at Toovey’s. The fashion for tea related objects is once again in revival. 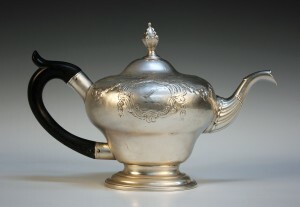 Silver tea pots can still be bought reasonably at auction but prices have risen. Perhaps it’s time you treated yourself to tea and enjoyed the delight in silver and porcelain. After all tea always tastes better when it has been made in a silver teapot and is savoured in porcelain cups! By Revd. Rupert Toovey. Originally published on 25th February 2015 in the West Sussex Gazette. This week I am returning to Petworth House to revisit Mr. Turner – an exhibition, which explores some of the central themes of director Mike Leigh’s remarkable film Mr. Turner. The exhibition adds depth and context to Turner’s relationships, his restless travelling, his interest in natural philosophy and his many visits to Petworth House. It has often been said that the character of Turner’s enigmatic and enlightened host, George O’Brien Wyndham, 3rd Earl of Egremont (1751-1837), informed the artist’s time at Petworth. Certainly, his relationship with Egremont is recorded as being particularly warm, especially in the decade before the Earl’s death. The 3rd Earl’s independent thought and patronage gave opportunity for artists to develop their talent, qualities described by the Royal Academician George Jones as being profoundly important to the development of English art. This independent, enlightened and philanthropic landowner was an expert agriculturalist and horticulturalist, an amateur scientist and a breeder of livestock and racehorses. The Agricultural Depression began with the end of the Napoleonic Wars in 1815 and lasted until 1836. Crushing taxation connected with the post-war national debt, a glut of workers returning from military service and the subsequent collapse in prices came with heavy social and economic costs. The depression’s severity brought financial ruin upon landlords and tenant farmers alike. During this period the 3rd Earl planted different crops, fed and clothed the destitute and provided employment on a mass scale. 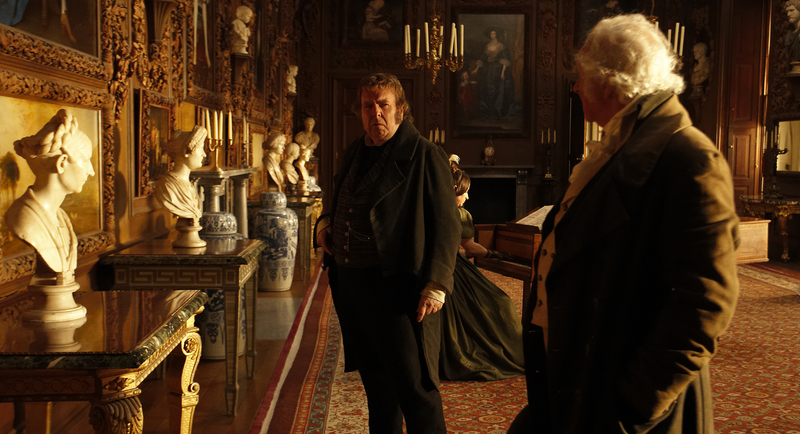 The Carved Room at Petworth House, sometimes called the Long Dining Room, was created by the 3rd Earl from two rooms. It housed the remarkable Grinling Gibbons carvings and work by the famous carver’s Sussex contemporary, John Selden. The room would have appeared very much as it does today, although the panelling was papered and painted white. 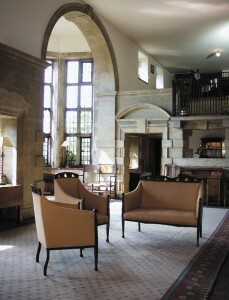 Lord Egremont held his dogs in great affection and it was in this room that he would feed them at breakfast before setting out each day to hunt and shoot, even in his seventies. In the 1820s Turner painted four landscapes for this splendidly ornamented dining room. They are quite extraordinary, combining Turner’s strength and energy with the culmination of over thirty years of experience. They capture more than just the Earl’s possessions. 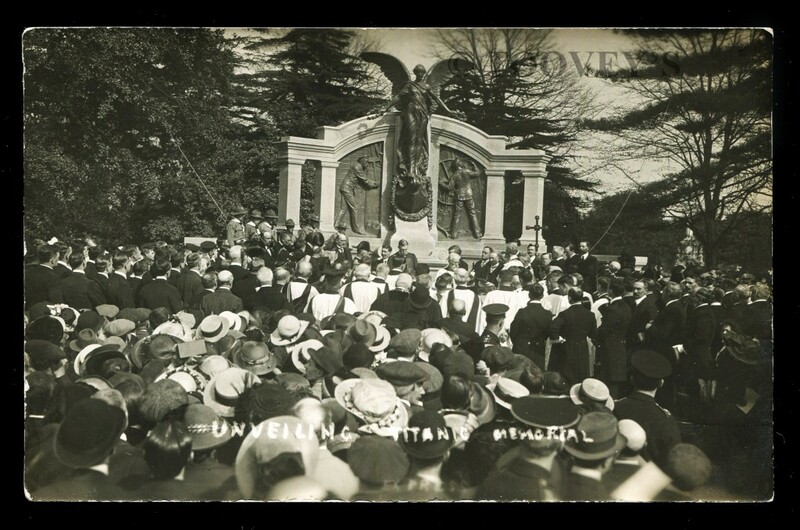 The patron’s philanthropic investment in agriculture, industry and the Sussex economy are brought to the fore, diverting our attention as viewers from status alone. 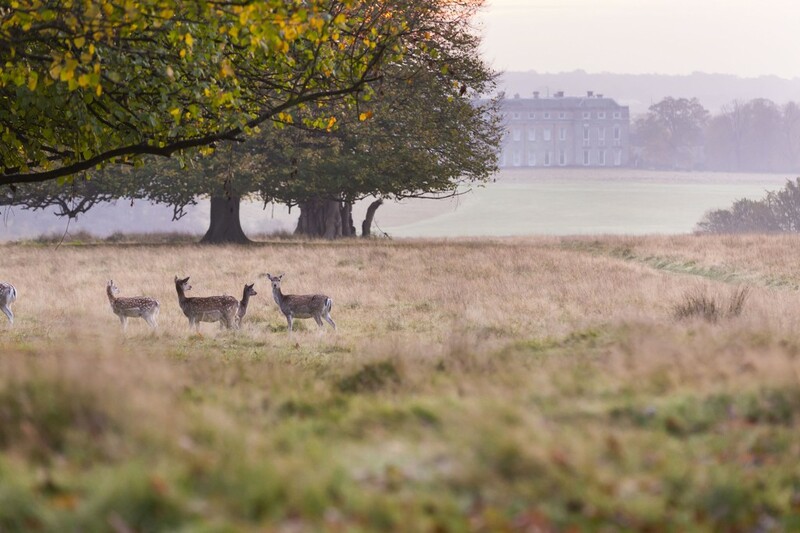 One of them, for example, is a pastoral scene with local people playing cricket in Petworth Park amongst an unusual, diverse array of breeds, illustrating the Earl’s generosity and his innovative approach to farming. However, it is a preliminary sketch of the same landscape, titled Petworth Park with Lord Egremont and his dogs, which captures my eye. Here we watch Lord Egremont as though from the Long Dining Room. He strikes out walking confidently across the sunlit sward with his dogs, bathed in luminous light, as a herd of deer grazes and looks on. The horizon is marked by the Sussex Downs and a copse broken by the distinctive spire of Tillington Church. Painted in 1828, this intimate picture provides a particular insight into the personal passions and delights of this enlightened patron. There is a spontaneity reflective of these two remarkable men’s good-humoured bonhomie. Turner’s friendship with the 3rd Earl of Egremont was such that he described his patron’s death as his “loss at Petworth”. Mr. Turner – an exhibition illuminates the life and work of this great artist with many rarely seen works and personal objects on display. Demand for tickets has been high, so I recommend you book yours as soon as possible. The exhibition runs at Petworth House until 11th March 2015. For more information and to book tickets go to www.nationaltrust.org.uk/petworth-house or telephone 0844 249 1895. By Revd. Rupert Toovey. Originally published on 11th February 2015 in the West Sussex Gazette. 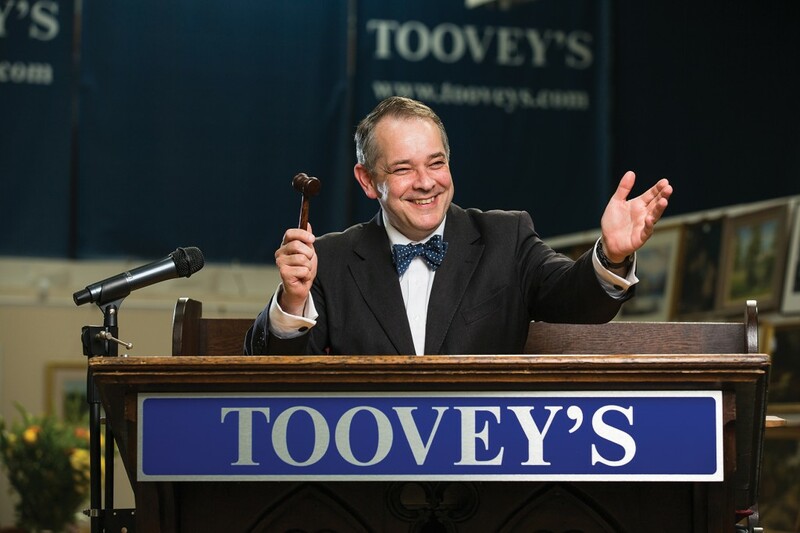 I started Toovey’s Fine Art Auctioneers twenty years ago this month, with a dedicated team of people who remain passionate about the company and the work we do. We opened on a stormy Valentine’s night in 1995 and were delighted when more than 700 guests braved wind and rain to support us and celebrate this new venture. I set out to create a family firm where people are valued, both clients and staff – a regional auction house providing a centre of expertise for the valuation and sale of art and antiques, with leading specialists and international marketing. Today, the salerooms are on the A24 at Washington, in sight of Chanctonbury Ring and the Sussex Downs, though we travel across London and the South East of England advising clients on their possessions, and our website attracts hundreds of thousands of potential clients from around the world. Reflecting on the last twenty years, it is the passionate collectors who stand out. These individuals often collect in the pursuit of knowledge. They are continually refining and adding to their depth of understanding of a particular field or period, while training their eye to the subtle details which set apart exceptional objects. In an age which increasingly confuses information with knowledge and understanding, this is an exciting and refreshing group of people to accompany. The De La Rue Collection from Rusper gave Toovey’s its first truly world-class results in 1998. 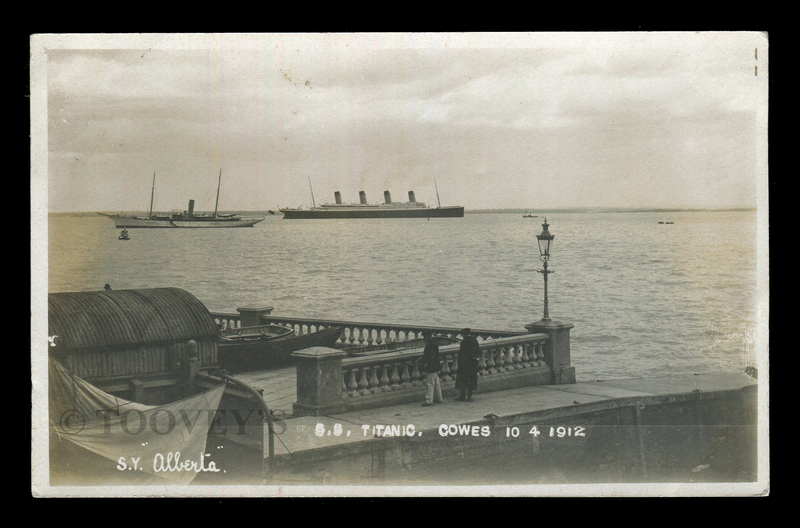 The remarkable collection came from the famous De La Rue family, who printed money and stamps for the British Empire. 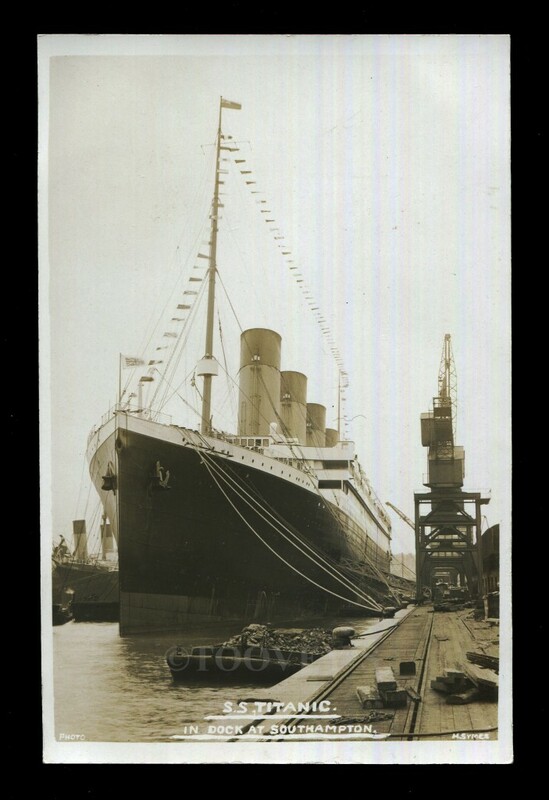 It had lain undisturbed for some seventy years. 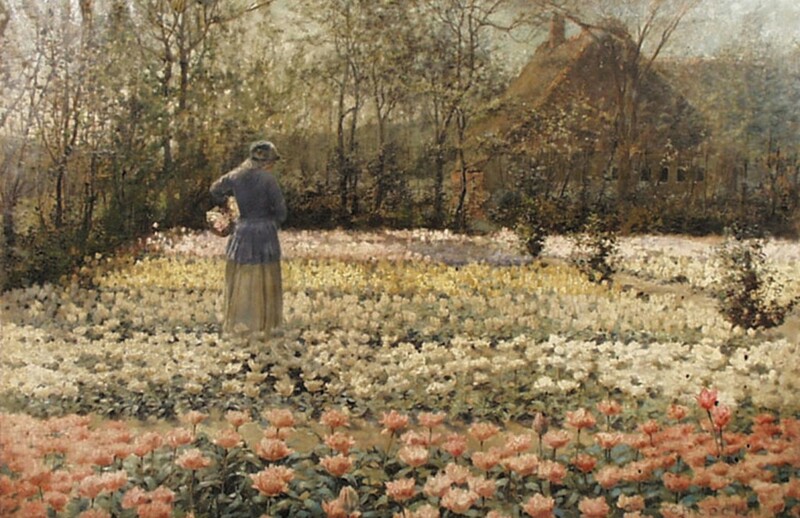 Among the wonderful paintings, furniture and objects was this late 19th century oil on canvas of a young woman gathering tulips in a garden by the American artist George Hitchcock (1850-1913). Although the canvas was holed and in a poor state, it broke all records for the artist at the time when it sold to an American buyer. His agent flew in on Concorde especially for the sale and, against stiff competition from a telephone bidder in London, bought it for £345,000. 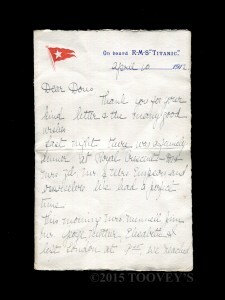 The news of the sale was reported in the New York Times. Many of the most memorable collections speak of the particular collectors. Take, for example, our Little Thakeham House Sale in 2000. I wrote in the catalogue introduction that the contents of Little Thakeham were in keeping with the stylistic quality of this important Edwin Lutyens house. They reflected the passion which this Arts and Crafts period building inspired in Tim and Pauline Ractliff, who had preserved and celebrated the property for many years. The auction was packed, with people parking in the orchard. On the lawn the marquee filled with bidders and a bank of telephones. 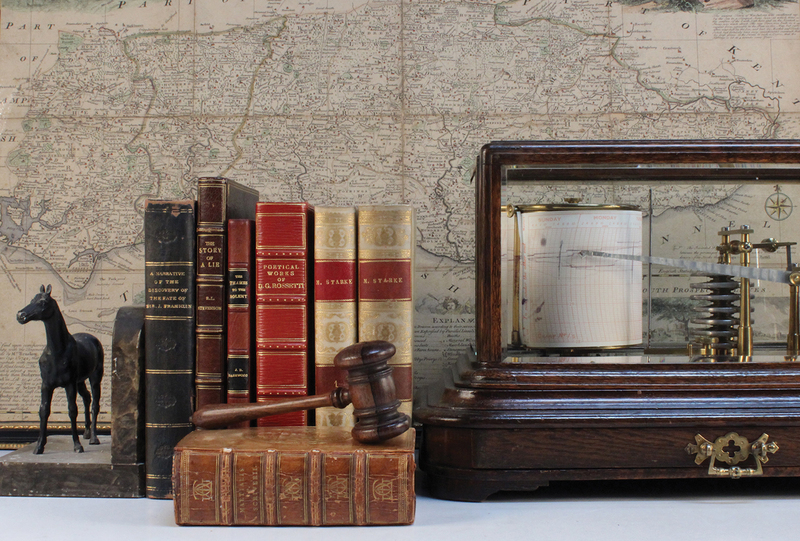 Pre-sale estimates were quickly overtaken as prices soared and the gavel fell. 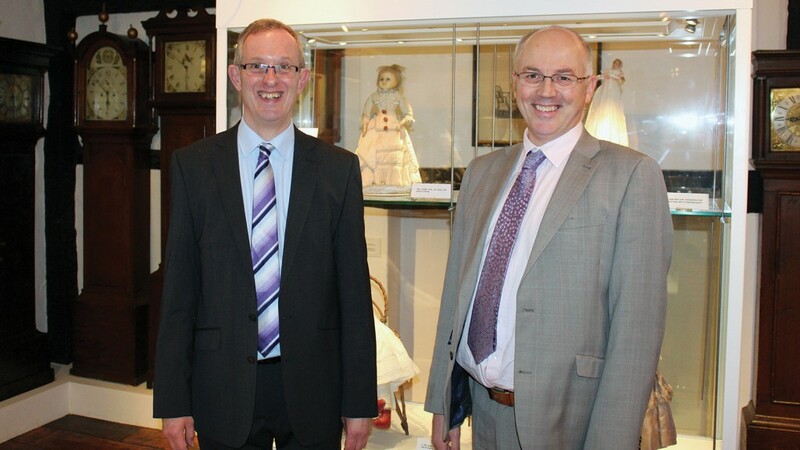 Toovey’s has remained the first choice for the sale of single-owner collections in Sussex. In 2006 our sale of The Bolney Lodge Collection saw buyers spend well over a million pounds on furniture and works of art from the estate of the late Judge Coles QC. 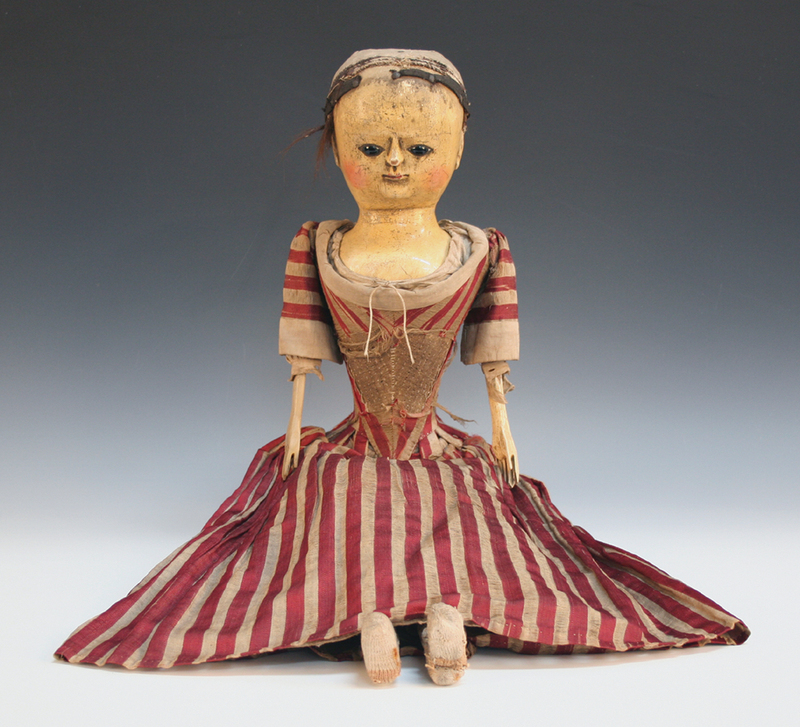 Single-owner sales often reflect a very personal and particular insight into the lives of the individual collector. Take the sale of The Library Collection of The Late W. Leslie Weller MBE, DL, FSA, which Toovey’s held in December last year. The books, pictures and effects reflected a man whose lively mind was directed towards his love of Sussex, its history, countryside and people. A generous and encouraging man, he worked tirelessly for the auctioneering profession and art world, as well as numerous charities. His friendship, support and advice I valued highly throughout my career. Provenance and the human story behind individual objects or collections add a frisson which, though unpredictable, always has an important and positive effect on the prices achieved for them at auction. This has been reflected at Toovey’s sales again and again over the years. I remain a passionate advocate for art, heritage and culture, sponsoring Pallant House Gallery, Shipley Arts Festival and the wonderful Horsham Museum and Art Gallery, amongst many others, through Toovey’s. Our company continues to invest in the Sussex community which I love, supporting numerous charities and groups with talks and fund-raising. Twenty years on, I am proud that Toovey’s has fulfilled my hopes and aspirations. 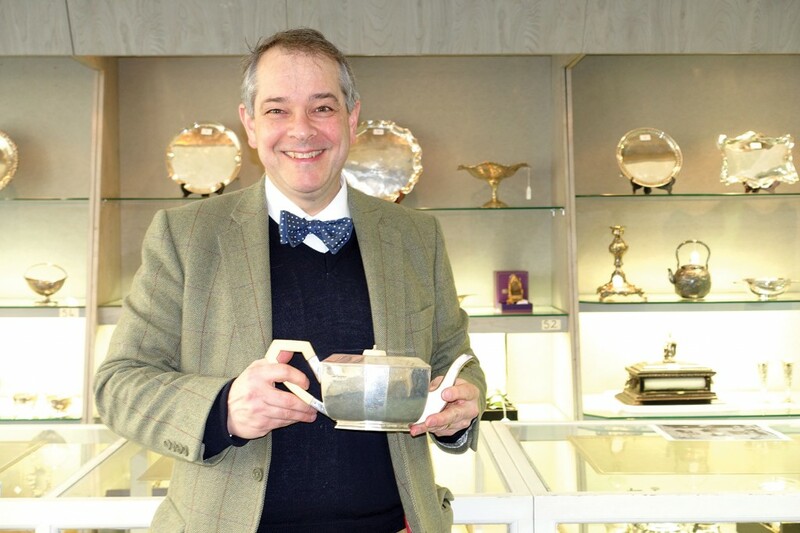 It remains a family firm employing a team of specialists and it now has a long-established reputation for expertise in valuing, marketing and auctioning art and antiques. None of this would have been possible, though, without the generous support and encouragement of the collectors, our clients, friends and supporters. Thank you all for the first twenty years! By Revd. Rupert Toovey. Originally published on 4th February 2015 in the West Sussex Gazette.